Are you micromanaging your team? Design a service strategy to maximize the effectiveness of your key players. Think of yourself as the manager of your favorite baseball team: Your real value is not playing in the field, but in the dugout, overseeing your players, coaches and managing your team through the season. It’s a clear cycle—every winter, spring and fall, you work hard toward the goal of reaching and winning the World Series. This baseball analogy applies to the contact center in that successful teams are a result of players, coaches and a manager all working toward a singular goal. However, sometimes the stress of achieving the “win” causes the coach to want to control every aspect of the game. This is over-leading. Good managers build a great team, have a game plan and are flexible enough to make adjustments along the way. In sports, as in business, successful managers allow coaches to coach and players to play. Stay in the proverbial dugout, but stand up and take a moment to observe your organization. Do you have agents who are singularly purposed and can only or will only perform one type of work? The answer will indicate how well you’re utilizing your resources as per your contact center design and structure. Do you see support staff collaborating with agents and peers toward common goals? How well are teams communicating and relying on business process to manage actions and behaviors? Is the morale of the organization good? Do employees feel they are valued and contributing to the overall success of the organization? Are performance metrics consistently reinforcing the mission of the organization? A day in the life of a contact center manager consists of a lot of demands, arguably more so than some of your managerial peers. You must use your time wisely, as your role is to maximize the efficiency and effectiveness of the players and coaches on your team. Inefficient design, resource constraints and ineffective processes create management challenges and result in the need to micromanage queues and staffing in an attempt to meet service level objectives. Efficiency being your goal, leverage design strategies to create “multiskilled” or “pooled” agent groups to maximize resource utilization. Introducing skill-based routing is a common strategy to build efficiency as agents will be productive in accordance with what they’re trained and able to support, i.e., their “skills.” These skillsets are defined by the business and can grow as the agent develops within the organization. Build your organization with the end in mind. Communicate a vision that will maximize efficiency for people, processes and technology. Design is a critical component of an organization and, when done well, will leverage the multiskill expertise of available resources. Many contact centers are conceived without too much thought of long-term design. The original structure typically doesn’t consider scalability as the organization grows in size and complexity. 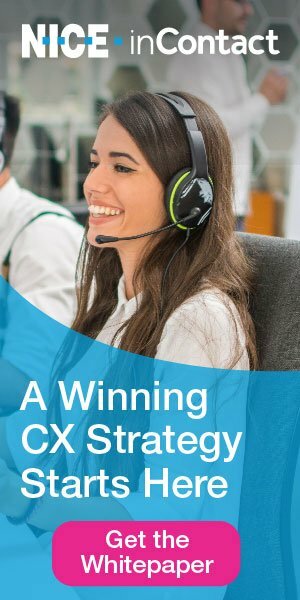 It’s unhealthy to expect the contact center to grow in a direct line with sales growth, as costs will undermine the financial goals of the business. Contact centers are a major expense for a business and therefore must grow efficiently with the business. Designing a multiskilled organization is essential because keeping up can be very difficult—shortcuts and workarounds tend to find their way as permanent residents of contact center processes. Plan for the growth and design for efficiency. Healthy organizational growth requires constructing a manageable contact center structure. Efficient consumer-minded call flows, agent work (skill) assignments, and continuous training are key components of achieving contact center scalability, as well as accessibility and the quality of the customer experience. All too often, those steering the direction of the contact center are not the call center professionals. Further, they don’t understand the complex variables that are at work which affect contact center strategy. Involve key leaders and stakeholders in the strategic designredesign process. Communicate an overall service strategy showcasing benefits for internal business partners like sales and marketing. Have the confidence to step out of the box and exclaim, “It’s broken. We must invest in designing a scalable organization, or redesign our current structure repurposing resource pools.” Investing the time necessary to designredesign the existing structure will deliver significant efficiencies for you and your support teams. Realize productivity gains rapidly by training on a single skill and putting agents into production. Extend an agent’s productivity, and value, by then formulating a progressive training program based on potential contributions to the organization. Increase quality and customer satisfaction as an agent with the requisite expertise handles the interaction expediently, accurately and without transfers. Achieve consistency in service levels by interval with a routing model that dynamically adapts based on current business conditions. Reduce handle times by directing interactions to agents with the right skill, rather than to agents who have to refer to alternative sources before addressing customer issues. Decrease error and rework rates as interactions handled by agents possessing a high degree of skill competency is increased. Additionally reduce the number of customer call-backs, and increase first-call resolution rates. Increase agent satisfaction and retention; agents benefit in that skills-based routing empowers them to create career path options. Agents are given the ability to develop an expertise in specific areas of interest, and to acquire the skills that accompany the expertise they’ve already developed. The design of your contact center is one of the more important aspects to ensure efficiency, performance and customer experience. Take control and design an efficient service experience that internal and external customers can rely on. As you outline the overarching strategy for the organization you’ll require solid participation and reliance on key support teams to implement your design, workforce management, quality, training and frontline supervision. Similar to the mission for the overall organization, devising a mission specific to contact center support services will provide greater direction for each of the critical support team functions. Workforce management. Your workforce management (WFM) team is your most vocal proponent of the multiskill strategy; the team should provide much of the design of how the plan will function. With mounds of data and precise analysis, the WFM team will show how the organization will benefit from the efficiency of the multiskill structure. Own the processes for short- and long-term planning, scheduling and intraday management. Quality. Post-implementation, the quality organization will measure how agents are performing against the strategy and provide feedback on the strategy in terms of quality performance metrics and valuable insight for the training organization. Training. Training new and developing agents to continue to grow with an organization requires the input and feedback from quality processes. Increasing the abilities of the organization’s agents will not only benefit the business, it will improve contact center morale and agent confidence. Frontline supervisors. Frontline supervisors are first in line to execute against the plan and support the daily needs of the agents and the business. It’s very important to have these key resources as part of your staff and engaged in the goals of the organization. Successful execution of your service delivery design requires a team of resources that are entrusted to carry out the mission of the organization driven by explicit and measurable goals. Employee satisfaction and customer satisfaction is realized when contact center support processes are working seamlessly together. One of the most common functions where over-leading is present is in attempting to achieve service level in the real-time management phase of executing against a WFM forecast. An obvious symptom of over-leading is being too reactive in the daily intervals. Running around with your hair on fire is symptomatic of a lack of confidence and control of the processes in your ownership—and most often is an indication that you’re staffing is inadequate to address your workload. Missing or dysfunctional WFM planning process is one of the leading causes of chaotic contact center operations. Planning, scheduling and intraday management all require structure and discipline to ensure you’re building a game plan. Planning process. Should include how and when you will staff your contact center during your annual volume cycles, down to the interval level daily. Scheduling process. Outlines how your available resources will be used to support the mission of the organization. Real-time adherence. Enforces the needs of the business by establishing a how well your individual agent resources are performing against your planning. Intraday management. Managing deviations to the intraday plan—this isn’t a substitute for good planning process, but a methodology to ensure that deviations are accounted for with controlled responses to variation during the normal course of business. Reporting. Finally, data is very critical to a leader’s ability to assimilate the big picture of how the business is performing. Resist the temptation to react, but instead rely on your game plan and tweak with tactical adjustments as per established intraday strategies. Intraday management cannot take the place of good planning. Create an action plan that outlines accountability for monitoring volumes, communication and necessary resource realignment. Establish a schedule adherence measurement for your agents. Educate them on the importance of following their schedules, and how it goes hand in hand with good planning. Set the expectation that this is a non-negotiable aspect of the agent’s role, and a measurement that is well within the agent’s control. Good leadership isn’t about micromanaging a few performance elements, rather it is how well an organization is designed to deliver in times of prosperity and how you’re positioned to handle adversity. Your KPIs—service levels, Csat, employee satisfaction, quality, etc.—are obvious measures of proof. It can be an addictive feeling when you’re in control of all the contributing design components, resources and process elements that it takes to create a high-performing contact center. If you close your eyes for just a moment, you can hear the cheers of the crowd. Celebrate that moment, give your team a pat on the back and get ready for tomorrow. Charles Swain is a Contact Center Consultant at Interactive Intelligence.